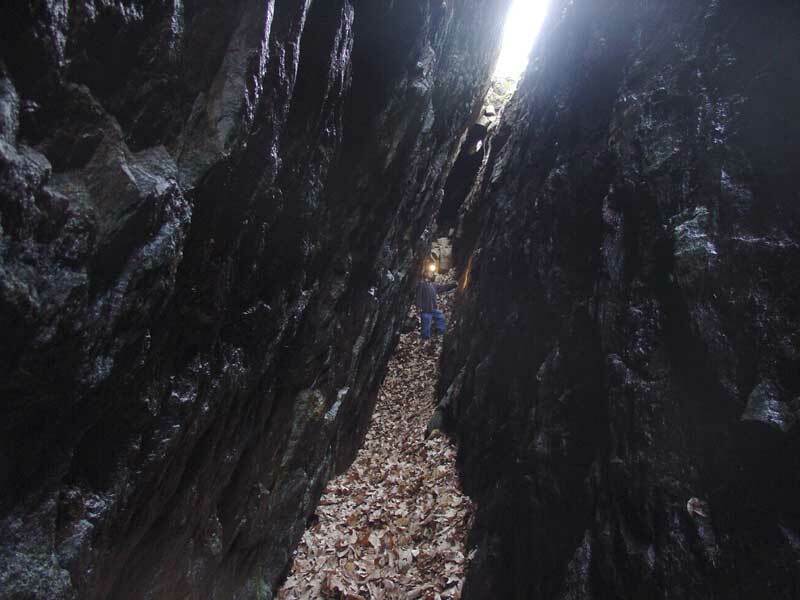 Here are photos for the Cobb Mine. 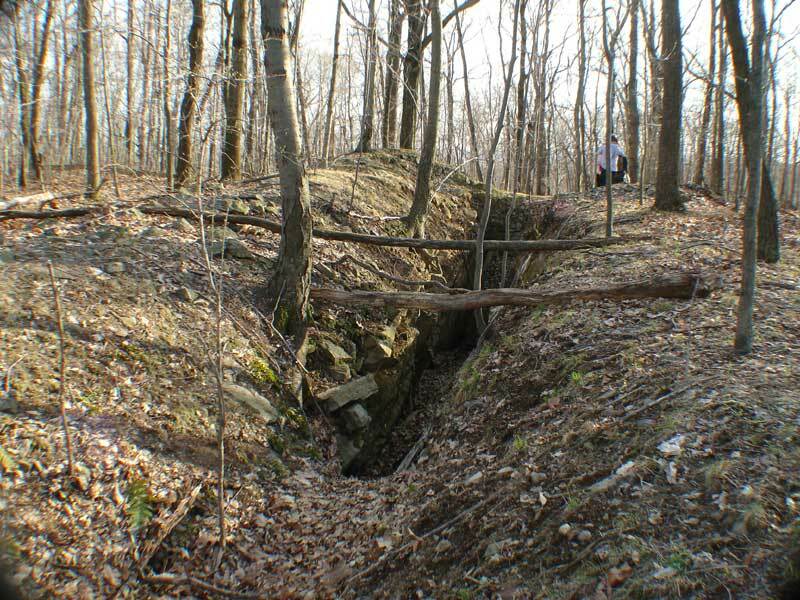 This is the trench for the Cobb Mine. We are at the northeast end looking southeast. Further in the cut. Notice the thinness of the iron vein for this mine. Looking towards the end of the first set of cuts for this mine. The ore vein may have pinched and was probably not profitable to mine further or faulted. 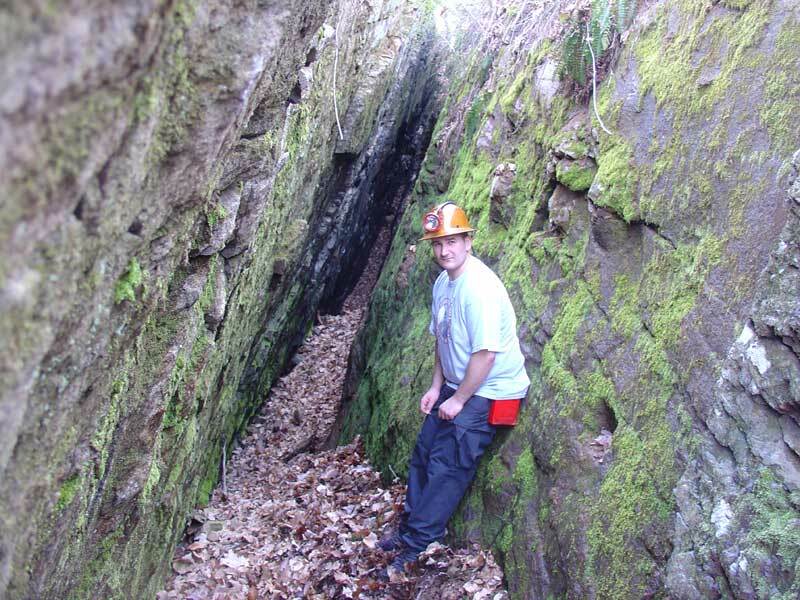 Beyond, evidence of a collapsed stope is seen. The walls of the stope have collapsed and all that can be seen is a wide crater. 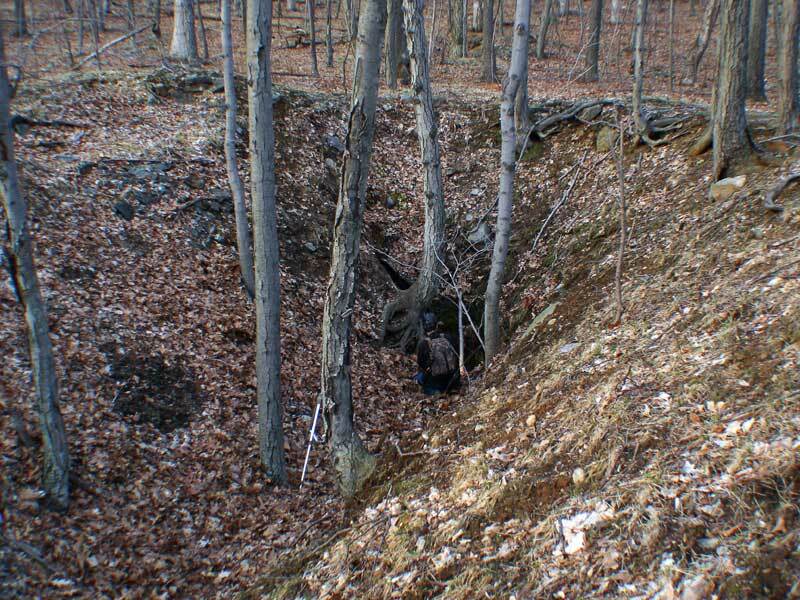 At the bottom of the collapsed stope is a small hole where you can see a portion of the stope where it goes underground. Water can be seen further inside. 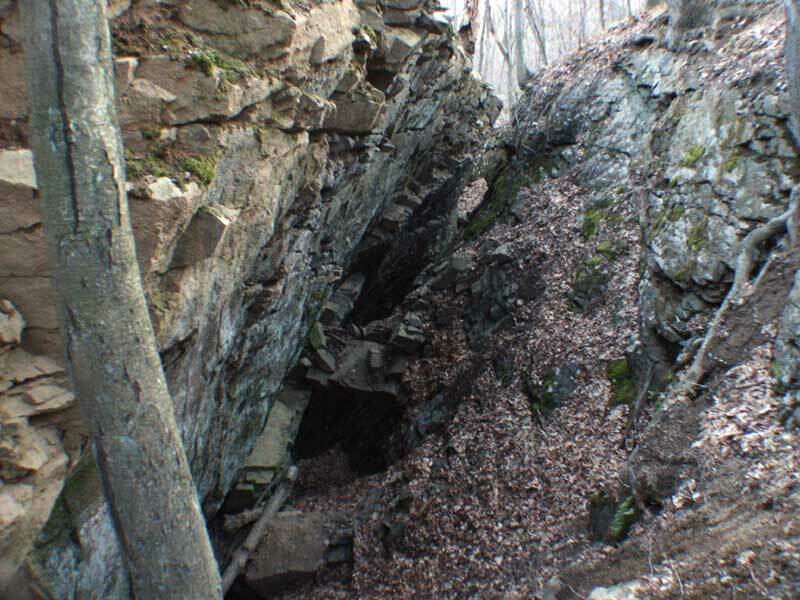 At the southwest end of the mine, another large cut can be seen. 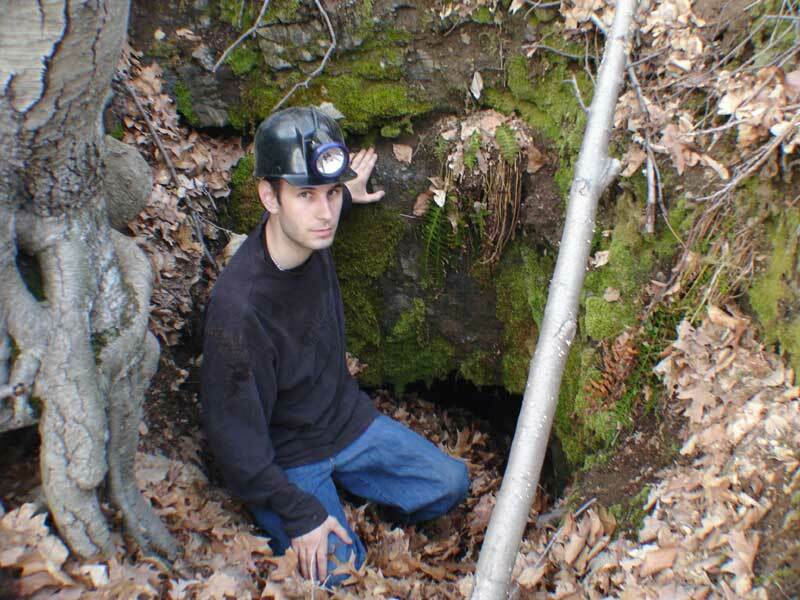 A Mine Researcher examines from inside. 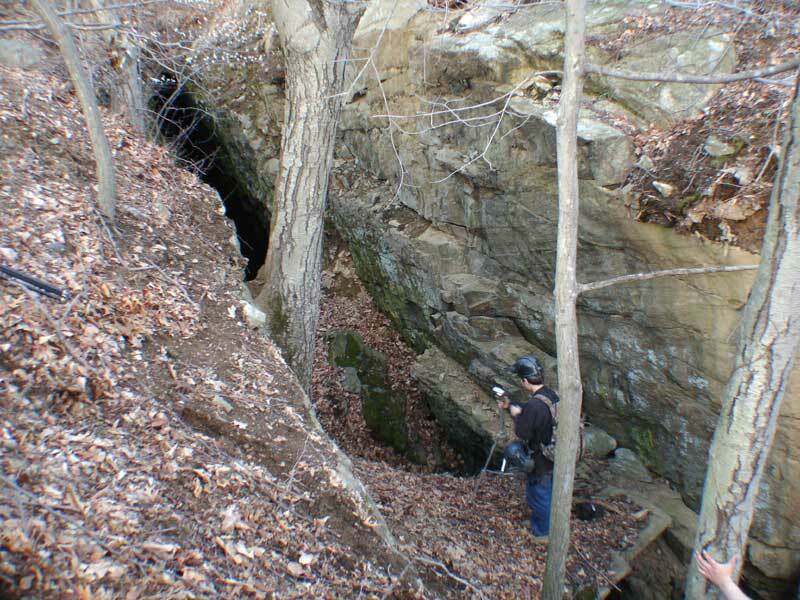 Looking southwest, the trench is partially caving.